Readers' photos on the theme of "old technology". Each week, we publish a gallery of readers' pictures on a set theme. 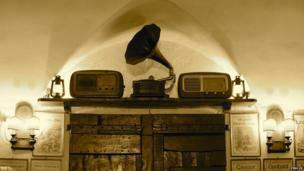 This week it is "old technology", and we begin with this picture by Phil Cleary of a device long forgotten in a cupboard. 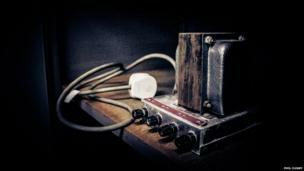 Roger Hawa: "Older technologies tend to disappear with time. 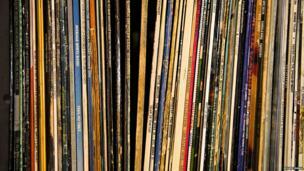 My kids' jaws literally dropped at the sight of the vinyl album and record player technology. This shot was taken after I shipped all my albums from London to Dubai. 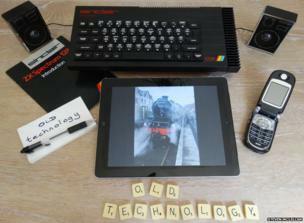 A bit of nostalgia for the older, warmer technologies of my youth... proudly displayed and truly enjoyed in 2014." 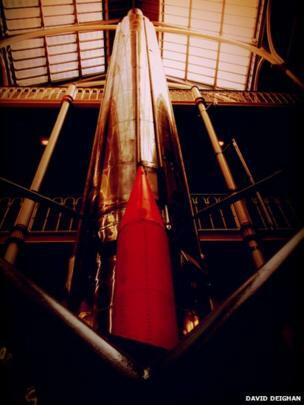 David Deighan: "The Black Knight rocket, now located in the National Museum of Scotland." 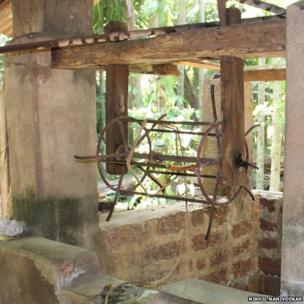 Nikhil Nanivdekar: "We used to pump water from wells using this old technology. Nowadays we are using modern pumps but this was the best handmade and simple technology for pumping water from a deep well." Edward Mortimer: "This image was taken at my parents' home in Woodbridge, Suffolk. I was thinking how, in recent years, many of my friends have called me old-fashioned for still insisting on writing letters, as opposed to just sending an email or a text. 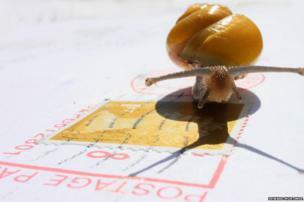 This is my tongue-in-cheek response to all the people who have ever berated me for sending ‘snail-mail’." 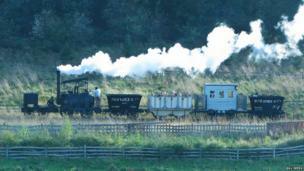 Bill Reeds: "This replica of Puffing Billy regularly runs at Beamish Museum, County Durham." 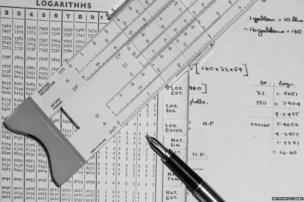 Anthony Clarke: "Mathematics the old way." Steven McLellan: "When clearing out, I came across an old Scrabble game, Spectrum and traditional pen and paper, all replaced by an old iPad. Oh, how times are changing." 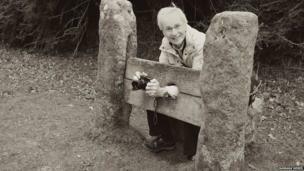 Barbara Weber: "On a recent visit to north Devon we came upon some really old technology: Thank you for giving your readers an opportunity to share new technologies." Phillip Rugg: "I took this photograph in April at the Monkey Sanctuary near Looe. 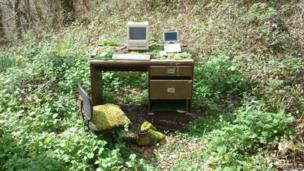 I was amused to find that the Macintosh computer, which was cutting-edge in our office when I started work, is now consigned to the woods." 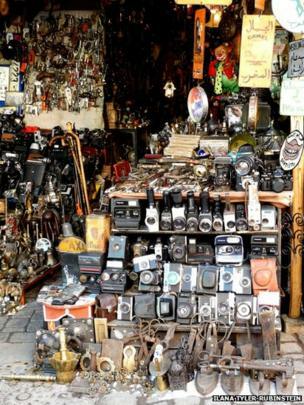 Ilana Tyler-Rubinstein: "Old cameras in a souk in Marrakesh." And finally, a photograph taken in Bologna by Ping He. The next theme is "mountains" and the deadline for your entries is 24 June. If you would like to enter, send your pictures to yourpics@bbc.co.uk. Further details and terms can be found by following the link below this gallery.